We supported a long time customer on the way to his dream: he wanted to implement Blumenhofer Loudspeakers in his HiFi- and Home Cinema garret. 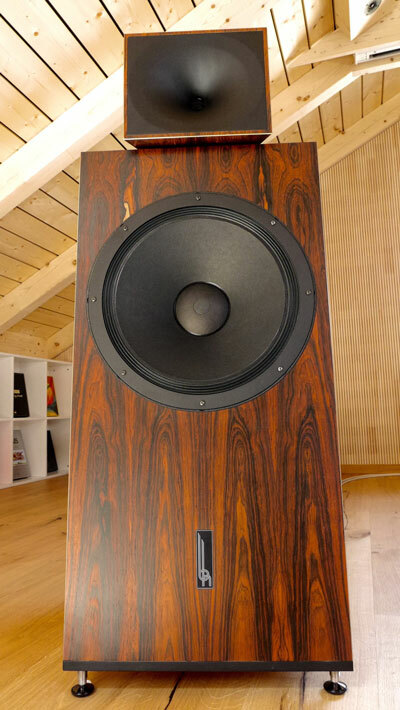 The stars are the Genuin FS 1 MK 2 in a wonderful rare Palisander veneer. The source for the stereo are a wonderful Garrard 401 and a Kenwood KD-750 turntable. The whole system is based on tubes, even the DAC for the streaming services: 2x 15W are sufficient to drive these Palisander jewels. The home cinema section integrates 4 Atmos-roof loudspeakers, 2 Sub 15 subwoofers, 4 Surround loudspeakers. All the later are tailored build to be integrated harmonically in this room. Both, man and woman feel great in this room because instead of a dark cinema cave, they can enjoy it in a top room: cozy, open, blessed by light and perfect sounding living room. Made for music.